By this stage of winter we know you have started thinking about cheating on your regular desserts. We’re not here to tell you what’s right or wrong, we’re here to give you a list of delectable Asian-influenced desserts that’ll make you unbutton your pants faster than if Ryan Gosling asked you. Now pop the first button and let’ get started! You’ve been invited to a celebration: in your mouth! Banoi is serving up banana fritters with coconut tapioca. Two superfoods in holy matrimony, like a tropical paradise party. Three things: milk chocolate custard, macadamia crumble, green tea ice cream. Chu the Phat are phattening us up this winter and we can’t stop them! It goes without saying; we’re extremely passionate about Passion Tree and it’s all thanks to the bingsoo. Never heard of bingsoo? 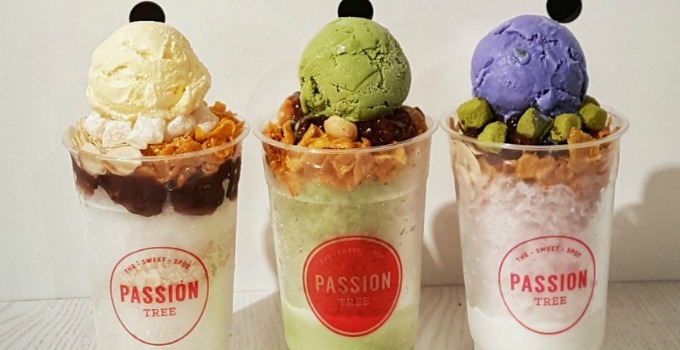 Get on board with this elaborate Korean dessert: shaved ice covered in ice cream, condensed milk and toppings from traditional red bean to oreo and berry. Are you single? Because we’re matcha you up with Sonder. They’ll treat you to a matcha green tea parfait that’ll make you swoon over the layers and layers of cream and ice cream – there’s a reason this dessert is infamous! It’s apple, it’s spice, it’s everything nice. Thanks to Chop Chop Changs we have been wearing our stretchiest pants out to be able to fit in more of their spiced apple dumplings. The caramel sticks to your tongue and makes the ice cream taste like ice dreams. 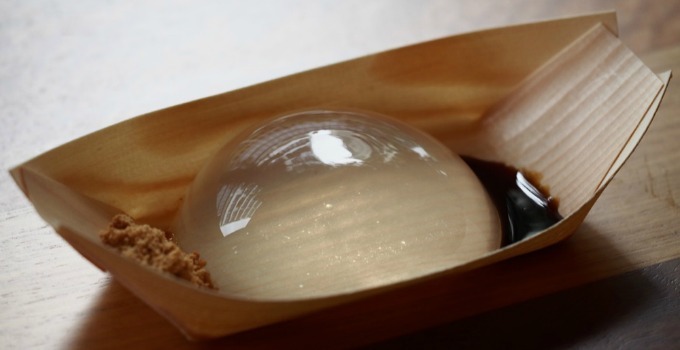 This one’s for you vegans and gluten intolerants – raindrop cake. Like it fell straight from the heavens and into the hearts of everyone with a dietary requirement. 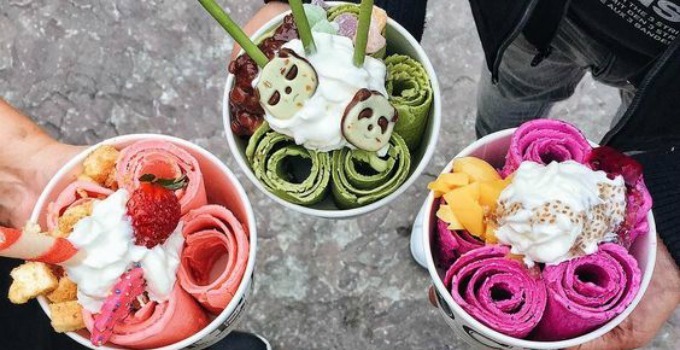 Thai scrolled ice cream is finally in Brisbane and it rolled straight into our hearts, thanks to The Doughnut Bar. With no preservatives and endless mix ins like Tiny Teddy biscuits, Tim Tams, and Nutella, it’s simply delicious and a must try.